Caring for ourselves is a daily routine and the same should be said for our pets. It can seem that grooming your pet(s) is not very important but it is actually important to their health and appearance. Anasazi Animal Hospital believes in giving your pets the loving care that you would give yourself so that they have long, healthy lives. We serve pets in the Gilbert, Mesa, and Chandler area. So, what are some important aspects of grooming for your pet? Let’s take a look. How Is Pet Grooming Helpful? Grooming is not just about maintaining a level of cleanliness and appearance for your pet. It is also about the maintaining your pet’s physical health. How so, you ask? When brushing your pet’s hair, it may seem to be just helping their look but it is actually pulling out the natural oils in their fur. The natural oils are spread out on the animal’s coat leaving them with a shiny healthy shean. These oils also help prevent tangles and matting in the hair which can lead to pain and infection for your pet. Regularly grooming your pet can help catch any disease quickly and help ensure they stay healthy. Fur: Brush your pet several times a week to avoid tangles, matted fur, and hairballs. Eyes and Ears: The eyes should always be shiny, clear, and moist looking. If there is redness, irritation, or cloudy eyes, let your veterinarian know. Ears should also be checked once a week. Flip the ears, take a look, and even sniff them. If they are red, swollen, have debris in them, or have a smell to them you should contact Anasazi Animal Hospital to avoid infection and disease. Nails: Indoor animals may need nail trimmings to avoid pain and infection that can occur if they grow into their pads. Teeth: Make sure to brush your pets’ teeth on a daily basis. This will help them have the best oral health possible. Use a pet specific toothbrush and toothpaste made just for them, give them time to bite and get used to it, and then make brushing their teeth a regular event. 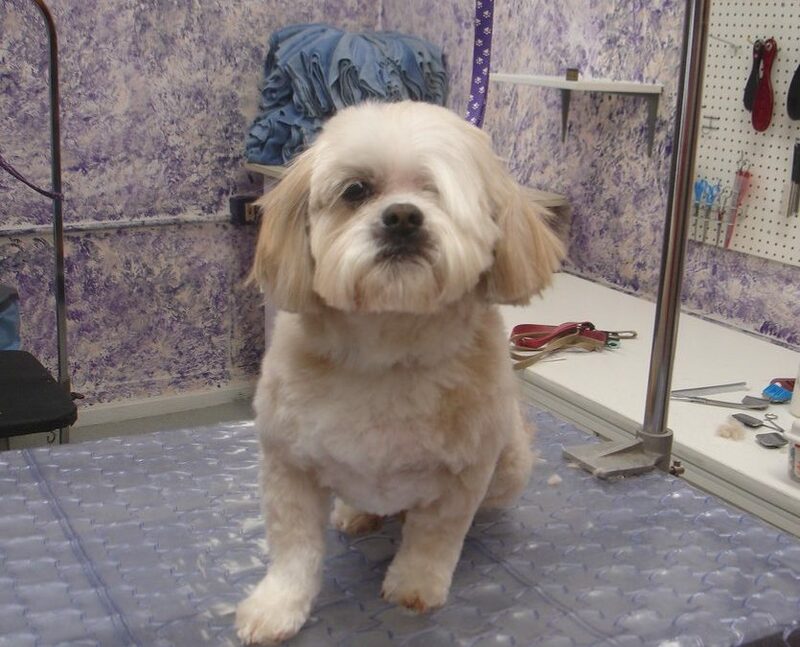 Anasazi Animal Hospital has seen the benefits regular grooming routine for pets. Pet grooming has been shown to prevent disease, infection, and pain. Contact us today for a specific health routine that fits your pets’ needs.